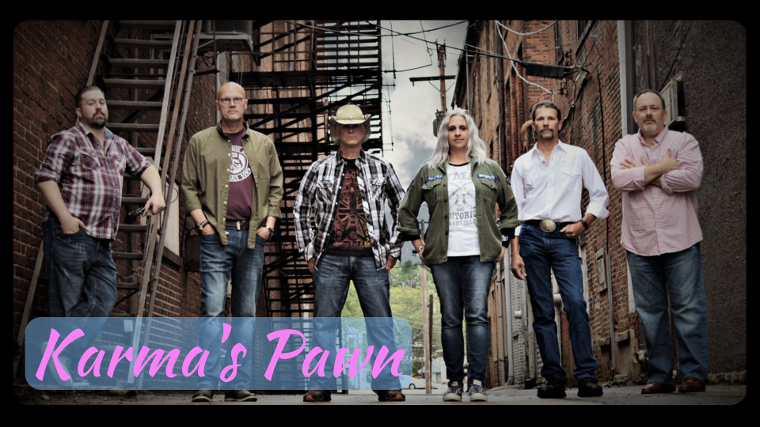 Karma's Pawn is a high energy, first choice, variety dance band. We get the party started and keep it going all night long. Sensational entertainment covering hits from the 70's 80's 90's 00's and today. Helping Ohio, and the surrounding region, make lasting memories for over ten years! Perfect for Festivals, Corporate Events, Weddings, Clubs, and Private Parties; We are not the average cover band. At the sweet center of Karma's Pawn is a truly invigorating show. Old school with an edge, Rock 'n' Roll meets disco, This band lays it down right, putting their own spin on all the party favorites! No costumes, no gimmicks, no cheesy backing tracks .. Just fun, infectious dance songs and Epic sing-a longs that conform to your event & fit your budget. Karma's Pawn will provide a professional sound system, custom-color stage lighting, and non-stop entertainment for your entire function .. featuring professional DJ service between sets. We know that every event is different, and we tailor our show to match your needs, completely.